Store your beautiful everyday-treasures in a beautiful fabric box. Fabric storage is always the best. It's washable and foldable. If you don't need it, simply fold it and it doesn't take space! Choose your own fabric combination by going to @chezviesfabs in Instagram and copy paste the link into the provided box. Leave it empty if you want the same combo. 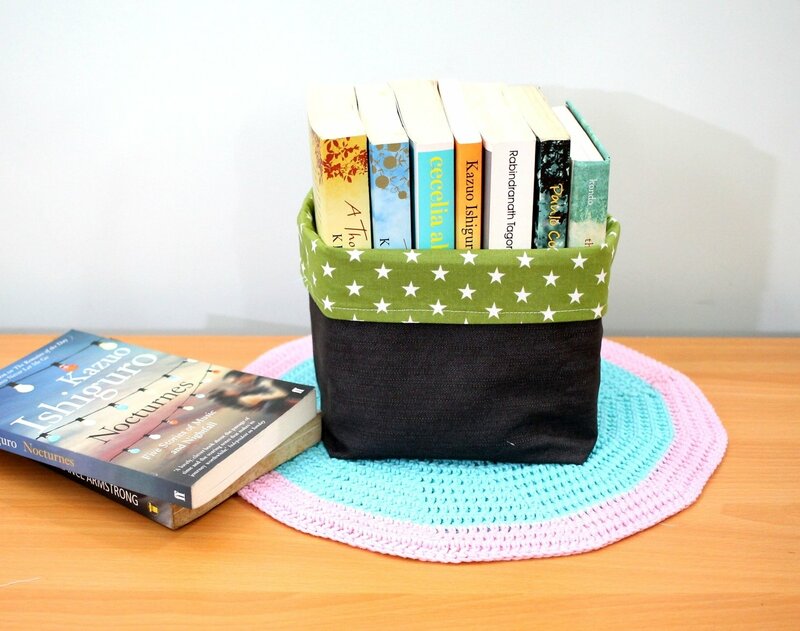 This handmade fabric bin is interfaced for durability and it is a great storage solution for your home. This is a perfect size to store and organize in any room in your home. Use it in the family room to hold CDs or DVDs. Add some color to your powder room. Fill it with diapers or items for the baby for a unique baby shower gift. Makes a great gift basket for any occasions - fill it with your favorite items. Do not hesitate to contact me if you want customized Storage box.